Thousands of people have started gathering in the town ahead of the Vishva Hindu Parishad event. Ahead of the Dharam Sabha being held in Ayodhya on Sunday to push for the construction of a Ram temple, Samajwadi Party chief Akhilesh Yadav has said if required the Army should be deployed in the town. Shiv Sena leader Uddhav Thackeray has also arrived here Saturday for a separate programme. Talking to reporters Friday, Yadav had said, “The Supreme Court should take notice of the situation in Uttar Pradesh. It should seriously consider the matter and bring in the Army, if required… as the BJP and its allies can go to any extent,” Yadav told reporters. Uttar Pradesh Deputy Chief Minister Keshav Prasad Maurya dismissed Yadav’s claims, saying his remarks simply showed his frustration as it was a Dharam Sabha and the Army was not needed for it. When asked that a significant section of the Muslim community was feeling apprehensive about the event, he tried to allay the fears. “No one needs to fear (anything) as there is peace in Uttar Pradesh. The government has made elaborate security arrangements to ensure that no untoward incident takes place,” he told PTI. 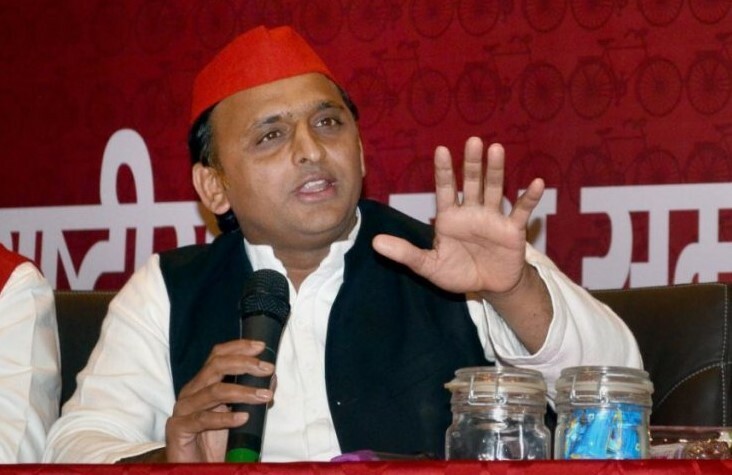 “This is a Dharam Sabha, and there is no need to deploy the Army, and Akhilesh Yadav must understand this,” the UP deputy Chief Minister said. On the eve of the VHP’s Dharam Sabha, the temple town was virtually turned into a fortress will multiple layers of security and deployment of drones. The Dharam Sabha is being touted as one of the largest congregations of Lord Ram devotees after December 6, 1992, when the Babri Masjid was demolished, but some Muslim leaders view it as a move to polarise the voters ahead of the 2019 Lok Sabha elections. Some members of the community had recently said they felt insecure as they remembered the attacks on Muslims in 1992 after the demolition on Babri Masjid. Ayodhya Municipal Corporation Mayor Rishikesh Upadhyay said there was not fear or apprehension among the Muslims. “Some vested interests, who seeing that all their plans may fail to reap political dividends, have started spreading rumours,” he said. The mayor said the environment in Ayodhya was peaceful and harmonious and the people were going about their daily routine. “Dharam Sabha and Dhara Sansad had been held here earlier as well. There are a handful of self-proclaimed leaders, who were trying to take this as an opportunity to realise their political interests but, their plans did not materialise,” he said. Elaborating on the security arrangements, Upadhyay said adequate arrangements were made by the police and district administration. “As many as 13 parking slots were provided for the event. Shiv Sena leaders took part in aarti and met seers in the temple town. No permission was given to them by the government to hold a rally,” the Ayodhya mayor said. The co-convenor (organisation) of the Muslim Rashtriya Manch, which is the affiliate of the Rashtriya Swayamsevak Sangh (RSS), dismissed the reports of fear among the Muslims as false. “A large number of Muslims have pledged to construct a Ram temple in Ayodhya. As many as 500 programmes will be held across the country from November 20 to December 2 to spread this message,” the co-convenor Moraridas said. He said a campaign had also been started that “we (Muslims) are not minorities, we are the ‘maalik’ of Hindustan”.